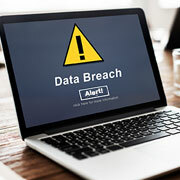 Theft of employees’ personal information to eventually steal from them. Building a defensive strategy starts with recognizing that, even with the best technical external barriers in place, you could fall victim to an employee who goes rogue, or even joins your organization specifically with cybercrime as a goal. While unlikely, it’s essential for your hiring managers to be mindful of these risks when reviewing employment applications — particularly those for positions that involve open access to sensitive company data. It’s just another checklist item when reviewing applicants with unusual employment histories. Checking references and conducting background checks is also a good idea. In the same way, it’s generally advisable to include a statement in your employee handbook informing employees that their communications are stored in a backup system, and that you reserve the right to monitor and examine their company computers and emails (sent and received) on your system. When such monitoring systems are in place, prudence or suspicious activity will dictate when they should be ramped up. It can also be useful to establish a policy encouraging employees to report any suspicious computer-based activities they observe around them. Of course, you don’t want to foster employee paranoia or promote the spread of baseless accusations. But deploying more eyes and ears can serve both to forestall cyber bad behavior and detect it, if it occurs. 1. Read and abide by the company’s Internet use policy. 2. Make passwords complex — use a combination of numbers, symbols, and letters (uppercase and lowercase). 3. Change passwords regularly (every 45 to 90 days). 4. Guard user names, passwords, or other computer or website access codes, even among coworkers. 5. Exercise caution when opening emails from unknown senders, and don’t open attachments or links from unverifiable sources. 6. Don’t install or connect any personal software or hardware to the organization’s network or hardware without permission from the IT department. 7. Make electronic and physical backups or copies of critical work. 8. Report all suspicious or unusual computer problems to the IT department. Employees that follow these steps faithfully can serve as an additional layer of protection against cyberattacks. Monitor, log and analyze successful and attempted intrusions to the company’s systems and networks. What else can be done? It’s often a good idea for businesses to protect their computer systems further by buying cybercrime insurance. Alone, this won’t prevent victimization, but it can offset some of the financial damage in case of a successful attack. In addition, most insurers perform a rigorous risk assessment before issuing a policy and setting premiums. The results of such an assessment can be quite eye-opening for business owners. If you decide against buying insurance, it might be useful to have a consultant conduct a cybercrime exposure risk assessment anyway. The growth, ubiquity and high cost of cybercrime has spawned a large industry of cybersecurity consulting firms. And, unless your company already has a robust IT staff with expertise in cyber-risk mitigation, you’ll likely save time and money engaging a third-party vendor.